Angie Kingma is a Registered Psychotherapist and a member in good standing with the College of Registered Psychotherapists of Ontario (CRPO), the College of Occupational Therapists of Ontario (COTO) and the Canadian Association of Occupational Therapists (CAOT). Angie owns Mindfulness for Health and is also very proud to work part-time at Trillium Health Partners, Credit Valley Hospital, Ambulatory Mental Health Services - Intensive Outpatient Program (IOP) offering psychotherapy in both group and individual formats. 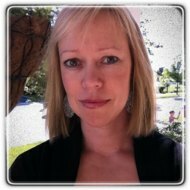 She is also on faculty at and runs Mindfulness Training programs at The Centre for Mindfulness Studies. She delivers MBCT groups 3 times per year in Mississauga (September, February and April). Angie has over 20 years of experience working in a variety of mental health and chronic pain settings including home care, in-patient psychiatry, out-patient psychiatry and auto insurance. While she utilizes a variety of psychotherapeutic approaches and techniques, she tends to lean towards mindfulness-based interventions and Cognitive Behavioural Therapy (CBT). Over 20 years of clinical practice in the area of mental health and chronic pain. Creator and facilitator of the MBCT program at Trillium Health Partners, Credit Valley Hospital. Certified Professional MBCT Teacher Training Program from U of California San Diego (UCSD) Centre for Mindfulness. Was an assistant at UCSD's MBCT Teacher Training in February 2014. Participant Observer in Centre for Addiction and Mental Health`s MBCT Group. Training in Cognitive Behavioural Therapy (CBT), Acceptance and Commitment Therapy (ACT), Dialectical Behaviour Therapy (DBT), Solution-Focused Therapy and Narrative Therapy. Trained facilitator in Group Therapy. Ongoing daily practice in Mindfulness Meditation; bi-monthly day long retreats; Weekend retreats.